Thank you for deciding to purchase our software. Below, you will find links that will direct you to our purchase processing options. This service will securely process your credit card information. We will then process your order and send you a link to download your registered software, or your registration key will be sent back to you so you can unlock the trial into a fully registered version. Just click on the Buy now icon below, and the payment process will begin. Once again, thank you for registering our software. An option to purchase the CD/USB version is available on the order page. Star Bill of Lading Network Edition UPGRADE from Single User Edition. This options is only available for Customer that are Current with their Support Licensing. Star Bill of Lading SE (Single User Edition) - Additional Year of Support/Upgrades/Updates. This is only available for customers who are current with their support, and look to extend it another year. Star Bill of Lading NE (Network Edition) - Additional Year of Support/Upgrades/Updates. Star Bill of Lading Report Writer Add-in product. Purchase the Custom Report Writer to create your own reports for the Star Bill of Lading program. Create and store your own report layouts using the Star Bill of Lading data files. You will receive the installation program upon purchase. 1/2 HOUR SUPPORT CHARGE - This is for customers needing support that are not under the Support/Upgrades/Updates Licensing. This is a half hour charge. 1 HOUR SUPPORT CHARGE - This is for customers needing support that are not under the Support/Upgrades/Updates Licensing. This is a per hour charge. If you prefer not to purchase on-line, just call us to place your order at 336-734-9101. 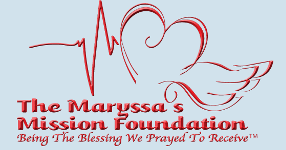 "Maryssa’s Mission is to be a blessing and provide aid to families caring for a medically fragile child."